Get your daily dosage of Uncharted 4 news and action inside. Uncharted 4: A Thief’s End, the eagerly anticipated final installment in Naughty Dog’s Uncharted franchise, received a handful of new videos. One of these is from a local presentation in Hong Kong, which has a new playthrough of the Sam’s Pursuit gameplay section that we saw before- except this one seems to be in real time, with the player fumbling and responding like a real player would, allowing us to see how the game responds to less than perfect inputs too. 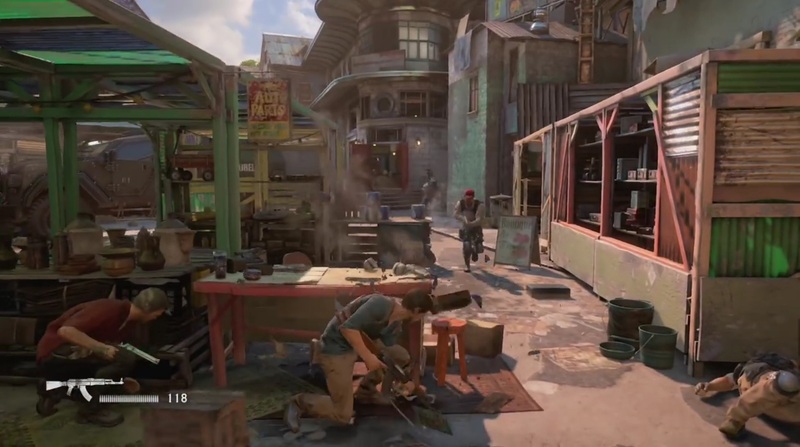 The other video is a “behind the scenes” video, featuring the development team, and Nathan and Sam Drake’s voice and performance capture actors Nolan North and Troy Baker. For anyone eagerly awaiting the new installment in the series, this video provides us with a rare look into the development of an Uncharted game. Uncharted 4: A Thief’s End is due out exclusively on the PS4 in March 2016. Stay tuned to GamingBolt for more coverage and information.